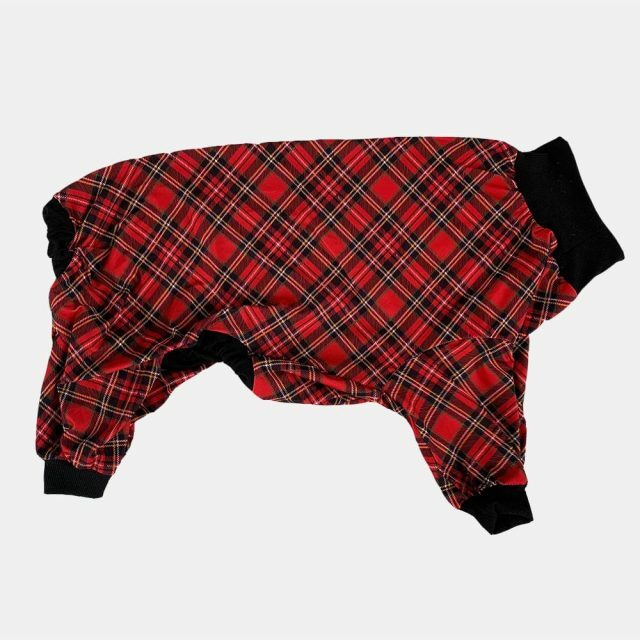 Our styles are designed for short-haired, pit bull type dogs. 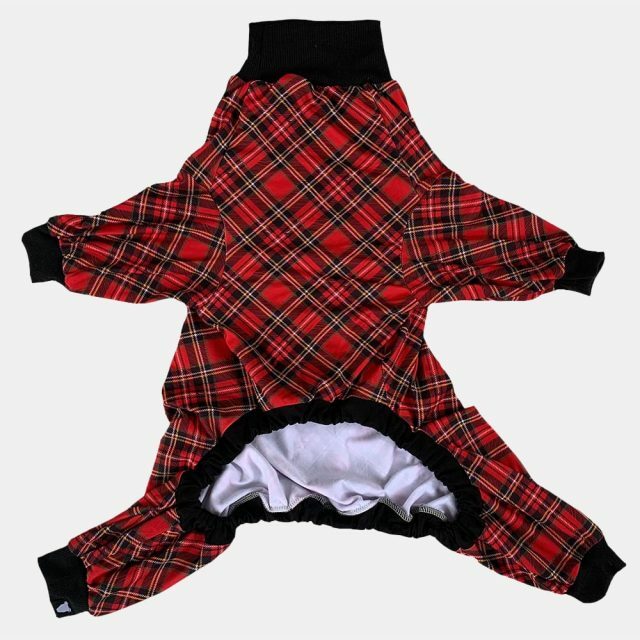 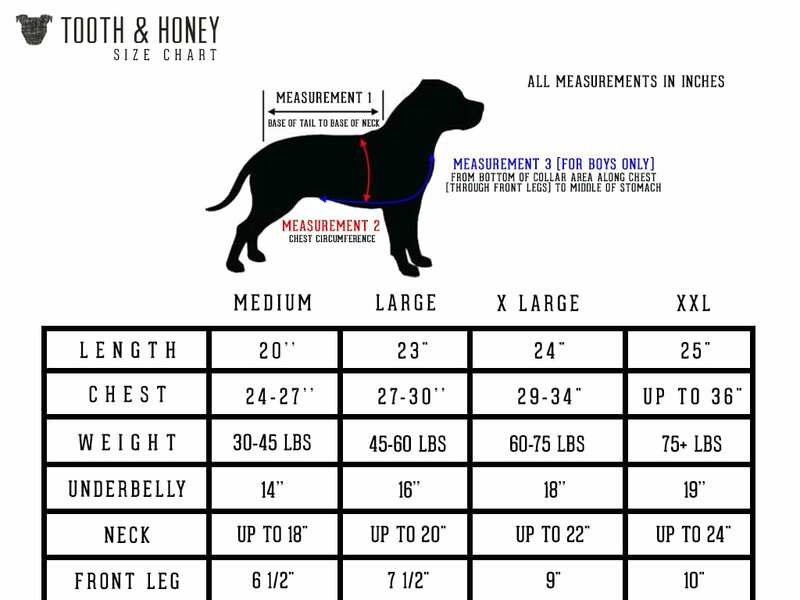 If your dog has an extra large neck these will not work for them due to the style of the fit* Please read size chart carefully before ordering. 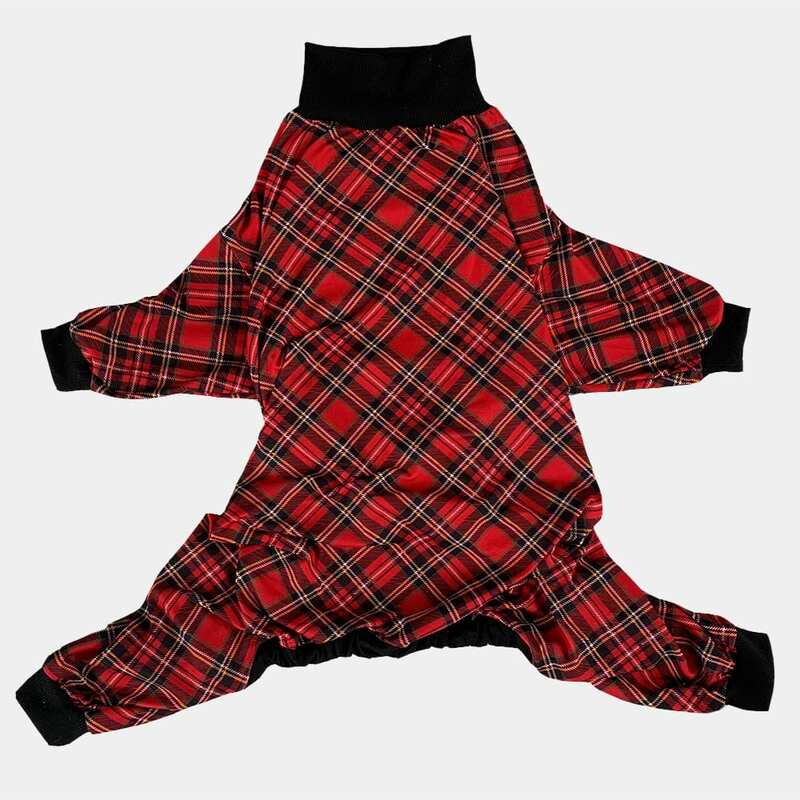 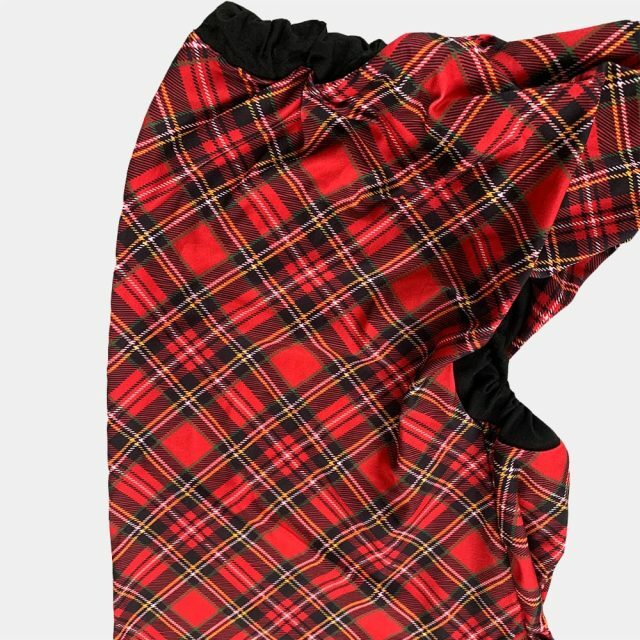 All over red tartan plaid with black trim.